Mauritius is a country with a lot of different cultures and you can taste that in the food. You will find flavours from all over the world here, but then with its own Creole twist. Food from China, India, France, England, Africa.. you can taste it all here. In this blog you find the top 5 local food in Mauritius, which you have to try during your time in Mauritius. We have to admit it.. it all tastes so good! If you want to try the local food, try to find it at the local places, so you will get it in the most authentic way. 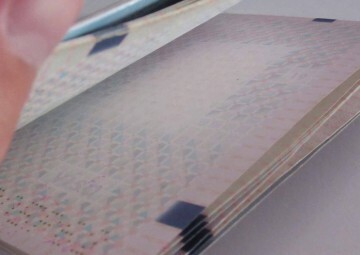 Moreover, it will be highly appreciated by the locals if you are trying their local food in a local restaurant. It will be an experience! A must-try when you are on holiday in Mauritius. Similar to the Indian biryani Mauritius has created its own. Also the way they write it is different. 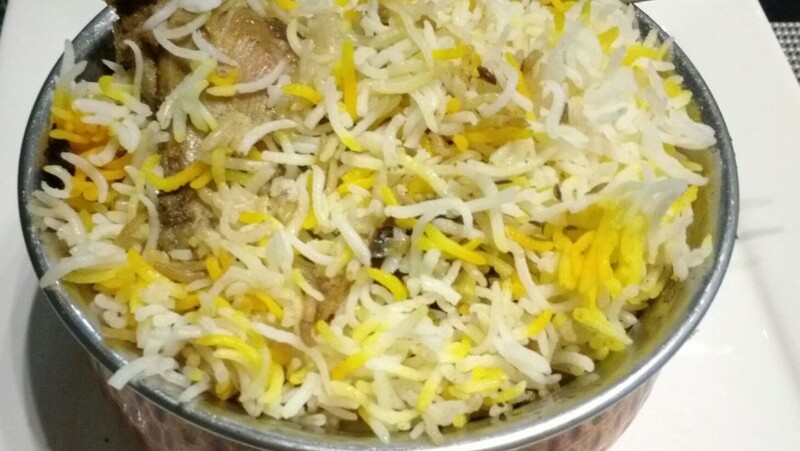 Briyiani, biryani, briyani, briani.. we have not found out yet what is the right version, so we follow the way the Indians write it; Biryani. The tasty dish is made of basmati rice with a lot of herbs and spices for the flavour and beef, chicken or seafood and potato. Biryani here is a traditional dish from the Muslims on this island. As we said this dish is a must-try, but be careful.. it is addictive and you will miss this when you are back home! The best and maybe only way to get these snacks is on the street or in local restaurants. 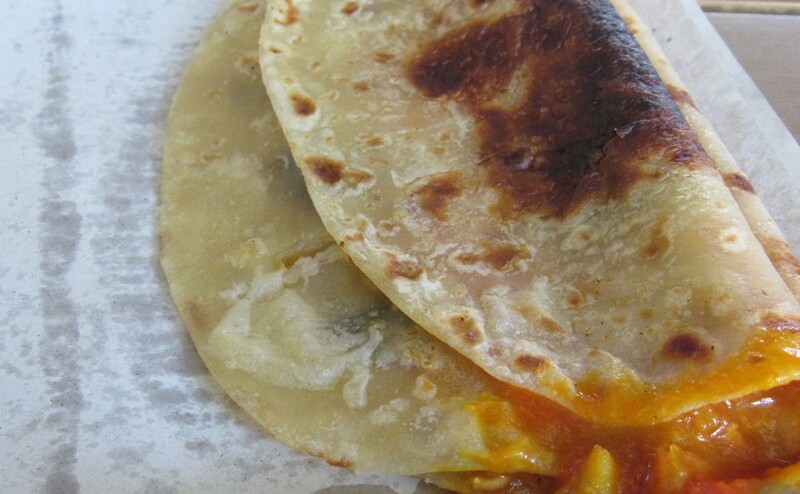 Roti, dhal puri and pharatas are all kinds of Indian bread, looking like small pancakes or mexican tortillas. The difference between the three of them are the ingredients and the way of preparing them. 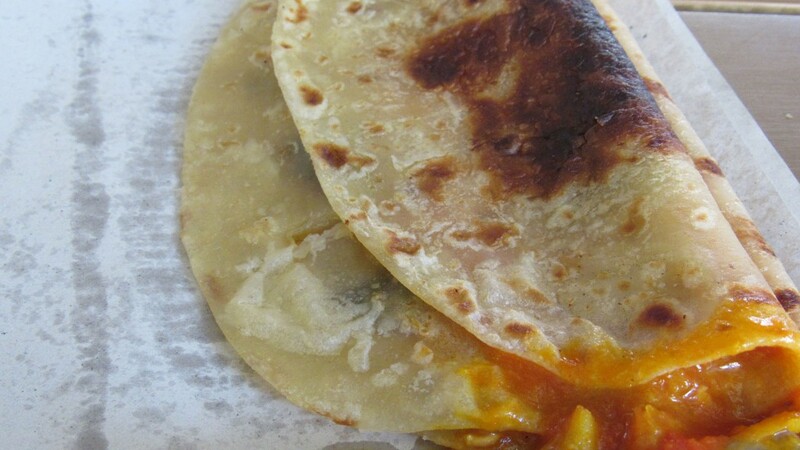 You can let them be filled up with vegetables, chicken or fish together with some sauces, which gives the roti, dhal puri and pharatas flavour. If you are ordering and do not like spicy food tell the seller to skip the ‘piment’. Probably not the healthiest dish (because it is fried), but for sure it is tasty. 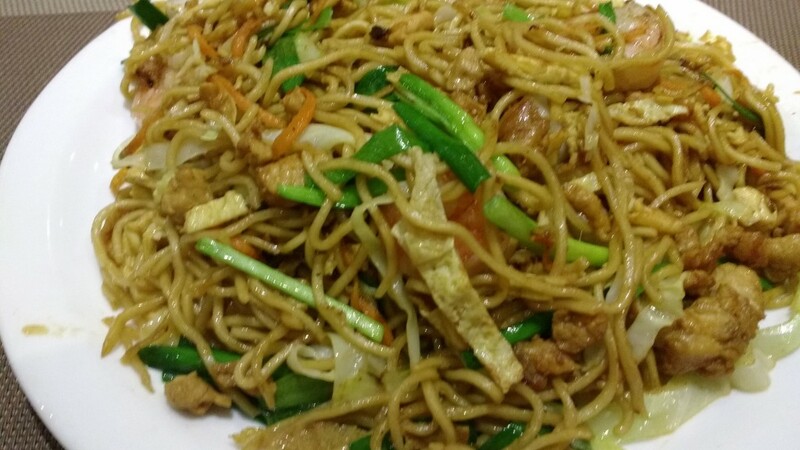 Mine frites are Mauritian style fried noodles with chicken, beef or/and shrimps. The dish comes from the chinese cuisine and you can taste that. Mauritians eat the ‘mine frites’ topped with some garlic water and those who like with chili! Another dish from the Chinese cuisine; boulettes. Boulettes are dumplings made of chayotte and other ingredients like chicken and shrimps. You have a lot of options to choose from. Our recommendation is to try a mix if you order it for the first time, so you can find out which one you like the most. Order the boulettes in a soup with soy sauce. 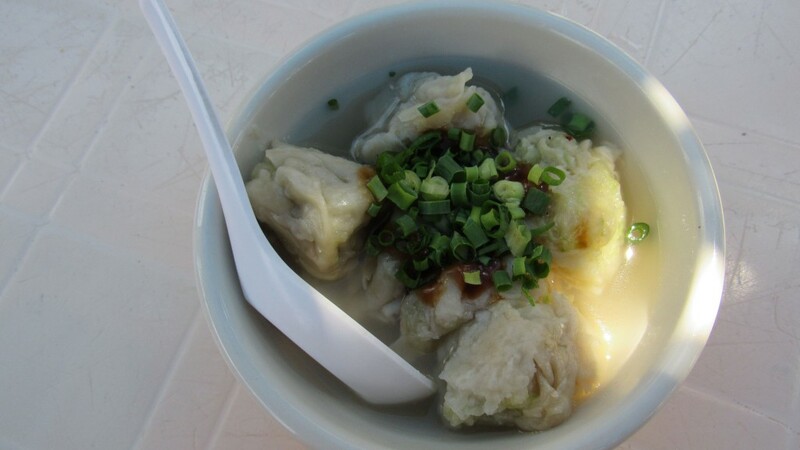 You can order the boulettes in chinese restaurants, local boulettes restaurants and you can even buy it on the street! In Mauritius you can consider the deep fried snacks as real Mauritian street food. We can find different kinds of them and we found out that the samosa is the tastiest. You can recognize the samosa immediately because this is the only triangle shaped deep fried snack. 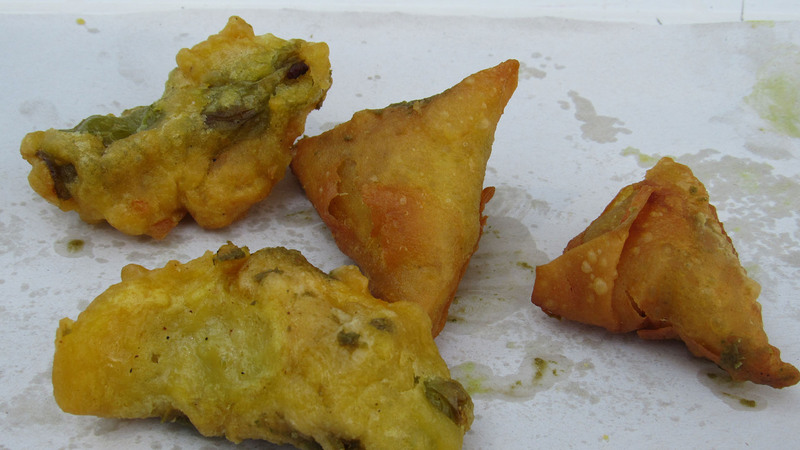 The outside of the samosa is made of dough, filled with for example cheese, potato (vegetable version) or fish. The samosas are deep fried, so they are not the healthiest snack to eat, but they are tasty and that’s what counts on holidays.. calories don’t count. You can buy samosas on the street and at local and indian restaurants. Another must-try local snack! The local food in Mauritius is really tasty and really worth trying, but also try other Mauritian dishes which are less considered as ‘street food’. 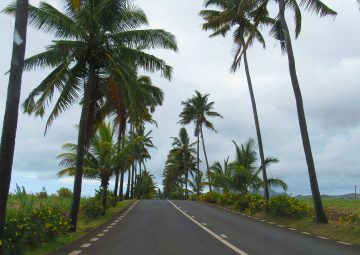 Mauritius is an island and when you think about an island you think about fresh fish. The lobster is really good in Mauritius and the marlin as well! If you are a seafood lover also try the millionaires salad. This is a salad with palm heart and seafood. It can be said that you will not get hungry in Mauritius.. good food is always around you. For further info click here for good restaurants in Mauritius. What is your favourite Mauritian dish? Tell us!